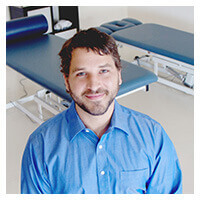 Ryan received his doctorate in physical therapy from University of the Sciences in Philadelphia in 2011. During his career, he has worked in a variety of settings: outpatient clinics, inpatient hospitals, rehabilitation facilities, and traveling to patient homes in the City of Philadelphia. He is interested in pursuing certification in manual therapy and therapeutic dry needling. He enjoys all New Orleans has to offer in his free time.